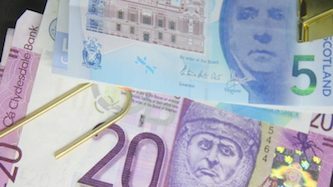 The Scottish government said its draft Scottish Budget delivers a total funding package amounting to £11.1 billion for the 32 local councils in Scotland. “This provides local authorities with a £197.5 million increase for day to day spending on essential public services in 2019-20, alongside a £207.6 million increase on their capital spending budget,” said the Scottish government. He said this is alongside a real terms increase in both the revenue and capital settlements. “This is bad news for communities – the impact on jobs and services is significant. The budget does not recognise our role as an employer, procurer and deliverer of essential services. Mackay said: “The Scottish Government has continued to ensure that our partners in local government receive a fair funding settlement despite further cuts to the Scottish Budget from the UK Government. “After removing the health uplift the Scottish Government fiscal resource block grant funding goes down by £340 million or 1.3% in real terms for 2019-20. “Despite that reduction, we have still provided a 2% real terms uplift in the total Local Government settlement for 2019-20.